Glad to have started your week off with some giggles! I am SO CRUSHED. You are the first person I’ve managed to talk into reading this EVER. (Of bloggers. I’ve talked several people in my regular life into reading it.) I get such a kick out of the way Joan Wyndham writes, even though, yeah, her life is ridiculous and her taste in men is appalling. But still. I love her voice. So refreshing to read a well-written review where the reviewer’s opinion is so clearly expressed! Thank you. Well I’m intrigued by this, I like the cover but not the sound of cheerily condoned domestic violence. It sounds like it all comes down to whether you can stomach Wyndham or not. I’ll certainly keep an eye out for it though. The cover is fantastic. It’s my favourite thing about the book. Ah, I’ve got both Love Lessons and Love is Blue kicking around, to be read sometime in the near future. But not in the very near future, as I’m reading a early 20th century novel whose protagonist sounds very like Wyndham from your description, and so I’ll need a break from that type of narrator before I can pick up the Wyndham books. Can I ask what you’re reading? I’m intrigued. Sorry don’t know why I didn’t throw in the title: it’s Bab: A Sub-Deb by Mary Roberts Rinehart. on June 9, 2014 at 16:27 | Reply Kathy D.
Aaaauuugh! What a review. So good and interesting — and funny. These characters would turn me off. Reading is an investment of time and books need to be good. The hangers-on in the studio would drive me batty, as would Rupert’s mistreatment of Jenny. And that she didn’t recognize it and object to it is annoying. I’m curious as to the point of view of the two books written about Germany during the war. Wonder what the authors have to say about what was really happening at the hands of their government. Joan recognized that Rupert was awful, she just chose not to do anything about it. That’s the really super enraging thing about her. 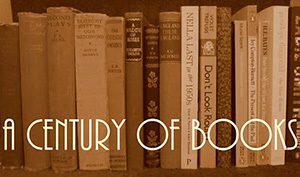 I predict you’ll like Bielenberg’s and Smith’s books much better. Bielenberg’s book (my copy is titled “Christabel” – a tie-in to the 1980s miniseries with Elizabeth Hurley as Christabel if you can imagine that!) was the book that sent me down the WWII diary/letters rabbit hole. I have a copy of On the Other Side somewhere around here, but haven’t gotten to it yet. I started reading WW2 diaries with Few Eggs and No Oranges and recently bought The Diaries of Nella Last. I’m looking forward to hearing what you think of the others. 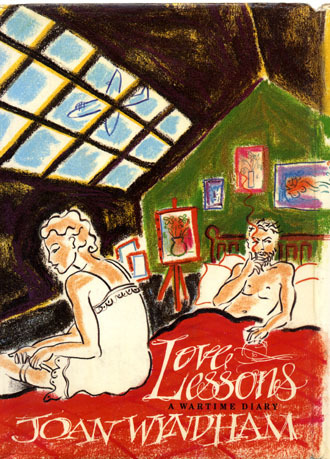 I loved the cover of Love Lessons and thought it could be another one for me but after reading your review, no way. I can’t take books without a single likeable character, or at any rate none who at least learns from such horrendous experiences. However, isn’t it fascinating how someone can love a book you hated? Fortunate for authors that we don’t all feel the same about their work. Thought this review completely failed to take into account the naiive point of view of an 18 year old girl. It feels akin to judging the characters in Nancy Mitford’s novels (incidentally based on her friends and relatives) in terms of their moral worth. Wyndham was from the English upper classes and had an eccentric upbringing, but her voice is fresh and funny. Rather than her parents doing something useless, her father was a journalist who was killed covering the Arab-Israeli war. For another fresh, funny and artless teenage memoir, try Nina Stibbe’so “Love Nina”.